A few weeks back I hurt my knee. I’m not sure how I did it, but it’s been very painful to kneel or get up from the floor. Now with a baby that’s learning to stand and a preschooler, I’m used to being down at the same height as them. 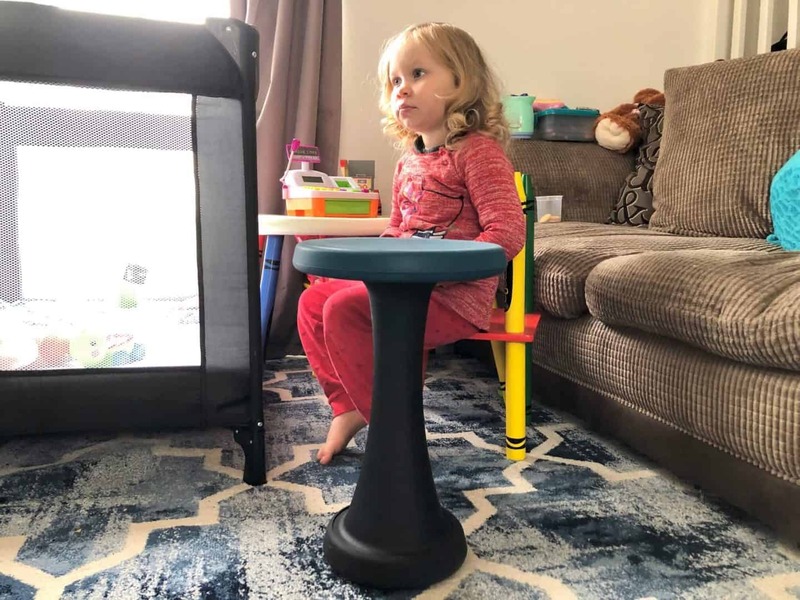 Fantastic good timing for me was being offered to review the One Leg Stool. Before I share with you my thoughts on this ergonomic stool, here is a little more detail on the One Leg Stool. With its functional, simplistic and clean lines, the One Leg is an ergonomic stool designed to rock and tilt as you sit. This design makes its ideal for use in the garden or anywhere around the home or workplace where you need to be working at low levels. The stool has proven to help those that suffer with lower back pain or who find kneeling difficult, like, me at the moment! These strong plastic stools are weather proof, impact resistant, lightweight and easy to move around and clean. 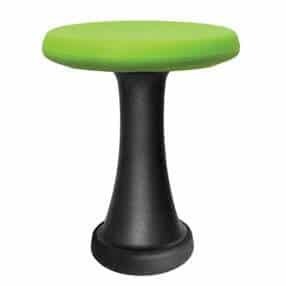 All stools are supplied with a black anti-slip foot. You can also add an optional silicone seat cover in the colour of your choice. I chose the One Leg Stool in black with the petrol seat cover. I got the slightly taller version at 40 cm so it would be suitable for not only myself, by my 6 ft 5 husband as well. I love to get down to the same level as my daughter when we are learning at her desk. Previously I used to get down and sit on the floor while she sat at her little table. But since I hurt my knee that hasn’t been possible. The past week I’ve been using the One Leg Stool to perch next to her and it’s been extremely useful. It’s easy to lean over while sitting on the stool as it follows you without slipping out. I’ve yet to get outside and do some gardening this year, but when I do in the Spring, the One Leg will be very useful in getting down to my fruit bushes plot. With it’s rubber non slip base, it’s suitable for any surface. We spend lots of time out side, so I know it will be used for many tasks around the garden. I’m going to be painting our garden fence and the gates later in the year, so the stool will be perfect for getting down low. It’s also easy to clean if I get any paint splashes on it! The removable cover is great to keep the seat clean and I think it gives the stool a bit of character with it being a different colour! 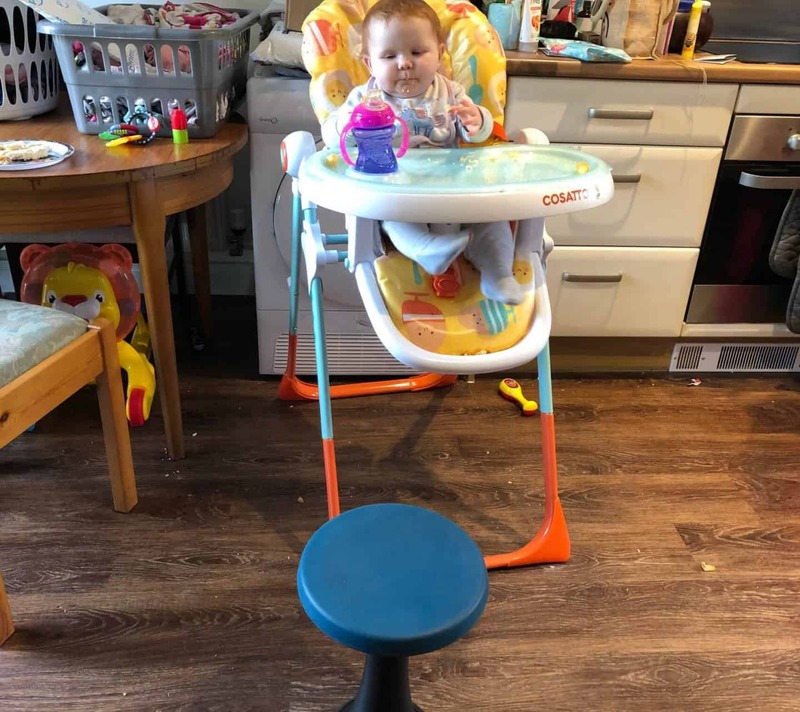 I believe there are countless uses for the stool, in the workplace as well as around the home and garden. I know my late dad would have loved the One Leg in his farming days for milking the cows. I want to say a special thanks to One Leg for gifting us this stool. It’s been a welcomed edition to our family and will be very useful over the coming years. 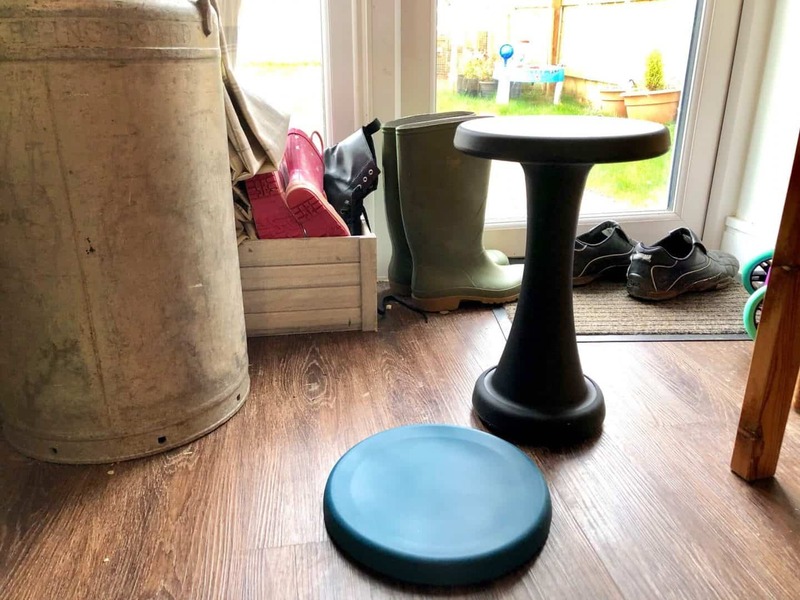 What would you use the One Leg Stool for around the home and garden? Love this, it sounds like it would be very handy to take out with me when I’m gardening. What a useful thing, genuinely I am going to get one!